We have three Office locations. The Docklands Business Centre is in the Isle of Dogs in London Docklands and is the biggest Managed Office operation in London we believe. Park Business Centre in Birmingham is modelled on the DBC and has the potential to be as large as we add to the conversion work. In contrast, the Offices at Edmonton are offered without comprehensive Business Centre facilities and are more limited in size. Our Business Centres are not aimed at very short term corporate clients who fly in, fly out, and want to work in prestige buildings in between. We do have some of those, but our target client is someone who may well stay a long time and who values cost effectiveness no matter how demanding he may be in terms of service and facilities. We think that Managed Offices represent the sensible and modern way to rent office space. Its our business � we let you get on with yours. 50,000 sf of Offices located in London's Docklands. 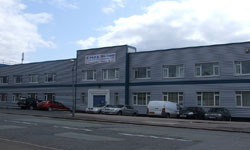 Fully managed with all the facilities a company needs including a fully equipped datacentre. Situated close to the M6, our 350,000 sf Birmingham estate offers fully managed offices and industrial units, all at highly competitive prices. 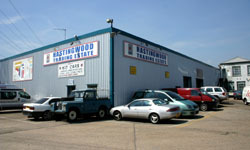 200,000 sf of quality factory, warehouse & office space. 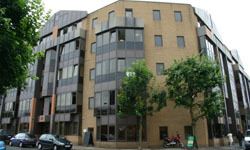 Excellent transport links and managed offices make this a sought after location. 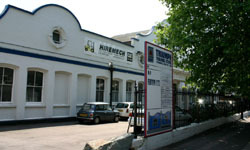 Over 100,000 sf of prime industrial space in North London, with convenient road and rail links. Internal offices are also available.